With the notion that many visitors plan months in advance to head to Tahoe for the Christmas and New Year holidays, vacation rental businesses have begun to add fun, unique extras to make the guests’ experiences a memorable one. 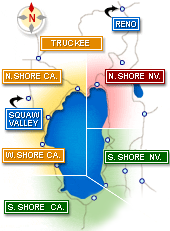 Tahoe Luxury Properties, for example, is currently offering an in-person visit from Santa Claus to the first five visitors who reserve a vacation rental for the holidays. Guests who reserve need only to say the magic word, “Rudolph” to make this wish a reality on Christmas Eve. Santa Claus’s guest appearance at vacation homes is the newest of the myriad tried-and-guest- approved added benefits offered at Tahoe Luxury Properties. Other added values, such as its full-time complimentary concierge service, have proven to set this North Lake Tahoe vacation rental company apart from its competition. Popular requests range from trip itinerary recommendations and dinner reservations to reserving private chefs, ski rental equipment delivery, and in-home massage therapy. With snow in the Tahoe forecast, choosing a leading company to reserve that vacation home or ski cabin could just be the icing on the holiday cake. 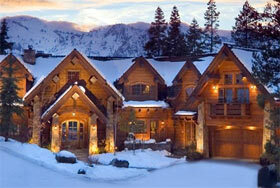 This was a guest post written by Rachel Woods of Tahoe Luxury Properties.